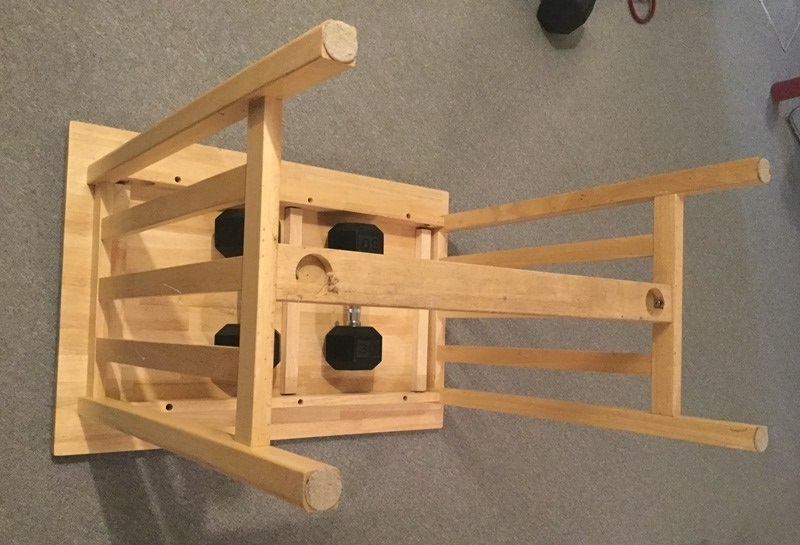 This week in our newsletter Your Editor performs another one of his magical tricks by improvising construction of a weighted sled for use with his circuit workouts. We also have an Ask Our Readers request that we hope some of our fitness-conscious readers can help out with by offering their suggestions. All this and more in the world's only weekly email newsletter devoted to helping IT pros become fit, lose weight, and live happily ever after as they face the daily grind of being in the IT profession. Enjoy! And P.S. 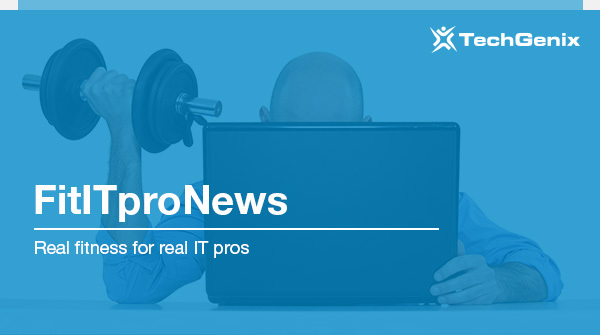 please tell all your friends and colleagues in the IT profession about FitITproNews! They can subscribe to it and other TechGenix newsletters here. I wonder if you've featured anything about posture correctors before? I've been a reader for a while in the UK and haven't seen anything on the newsletter about them. I've heard they're great for us desk jockeys but I wondered if any of the other pro's have any experience or recommendations? I'm talking about the upper back "harnesses" you can get for posture correction. I have a minor shoulder injury from weight training and if I put my shoulders forward at my desk it gets much worse. I've noticed a lot of my colleagues have the same behaviour but their issues aren't manifest yet, mine are because injury! They're designed not to be rigid and don't force your shoulders back; you can still slouch, but when you do it's uncomfortable. The idea is the harness shows you the correct posture to maintain, and through naturally wanting to be comfortable you'll maintain correct posture, and muscle memory will do the rest. OK I'll admit it, I'm cheap. I'd rather improvise something using whatever I have at hand than fork out some bucks to purchase a nice, shiny, professional version of something I need. Like the Prowler sled, a sled you can put weights on (typically barbell plates) so you can push (or pull) it to strengthen your legs, arms and back. REP Fitness has a nice one here if you can afford it, but it's too expensive at this point for my household budget, so I decided to try and improvise one instead. 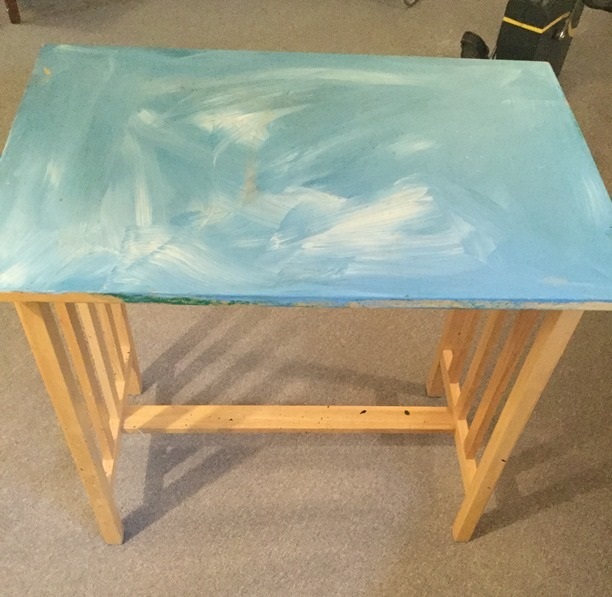 But not having a table saw or the time to learn how to use one (I'm a klutz too and would probably lop my arm off if I tried using one) I searched around for a better approach. Then suddenly an idea popped into my head. The table is sturdily built and weighs about 40 lbs and I thought, "What if I turn it upside down and use it as a push sled?" Voila! I now had a sled I could use for pushing (or pulling) exercises. Wanting immediately to try it out as part of my current regime of Tabata workouts, I turned on the timer and started pushing my weighted sled across the room as fast as I could move it. With the dumbbells on it my sled weighs about 100 lbs, and in one 20 second Tabata round I was able to push it all the way across the room, pull it back to where I started from, push it again across the room, and pull it back once again to the starting point. All that in 20 seconds. I rested 10 seconds and then I repeated the push/pull cycle for another round of Tabata. So did I make it all the way to the eighth round? Nope. I was wiped after four rounds and could barely catch my breath. But it felt great. So the next time I did Tabata Training I put less weight on my "sled" using two 15 lb bells instead of 30 lb ones, and as a result I was able to complete all eight Tabata rounds for that particular exercise. And it cost me nothing to improvise this piece of equipment. Yesterday I tried one more variation by loading the sled up with two 40 pounders and one 30 pounder for a rough total weight including the sled of 150 lbs. My 20 second Tabata rounds now consisted of pushing the sled once across the room followed by pulling it slowly back to the origin position. Now THAT made me sweat--whew!! Anyways, the long and short of it is that I've now added another fun piece of exercise equipment that's fun to use and gives a terrific workout for my whole body. You might want to try doing something like this yourself! P.S. If you have any "exercise equipment hacks" of your own you'd like to share with other readers, send me an email at [email protected] and if possible include a photo. 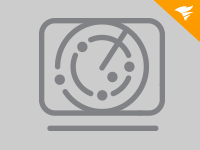 Identify bottlenecks, address issues faster, improve server efficiency. AI-powered monitoring, customizable dashboards, instant alerting and more. Read the short analyst report by 451 Research that provides their view on the importance of backing up your Office 365 data. If native Office 365 reports are not sufficient for you and if you need more details on your email traffic such as the sender, recipient and email subject, try PROMODAG Reports for free now! Copyright © 2019 TechGenix Ltd., All rights reserved. FitITproNews.com is in no way affiliated with Microsoft Corp.